BioHaven® Floating Islands®, also known as floating treatment wetlands or FTWs) are unique in that in addition to adding beauty to any pond; they also aide in the following: pond cleansing, habitat remediation, water quality improvement, water gardening, and overall pond beautification. One of our largest floating islands to date is about an acre in size and holds over one million pounds of gravel. Although you may see other so called floating islands on the market, do not be fooled; BioHavens® hold the patent to this unique design... our islands have received national recognition in March of 2014 by the EPA being listed as a Top 6 innovative water technology! 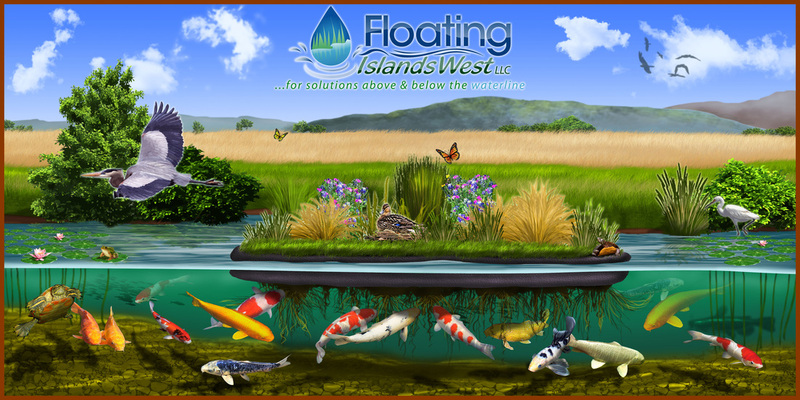 A BioHaven® Floating Island® is a man-made floating wetland. Inspired by the natural occurring floating peat bogs in Northern Wisconsin, BioHavens® were originally designed to mimic mother nature's own creation... floating wetlands. Using Nature to cleanse nature is a form of Biomimetics. Content provided by Floating Islands West, LLC.